Technical expert Mark Larkham will return to pitlane in 2018 to offer his insights as part of the award-winning Supercars broadcast team. Larkham, a former driver and team owner, gained great notoriety for his explanations of often highly-technical components into layman’s terms and his ‘white board’ to explain strategy. Since 2015 Larkham has been part of the TEN Supercars team in offering insights prior to races broadcast on the network, produced by Supercars Media with its own in-race team. This year Larkham will be integral within the race broadcast team on the FOX Sports and TEN broadcasts across the season. His appointment follows the departure of Greg Rust at the end of the 2017 season. 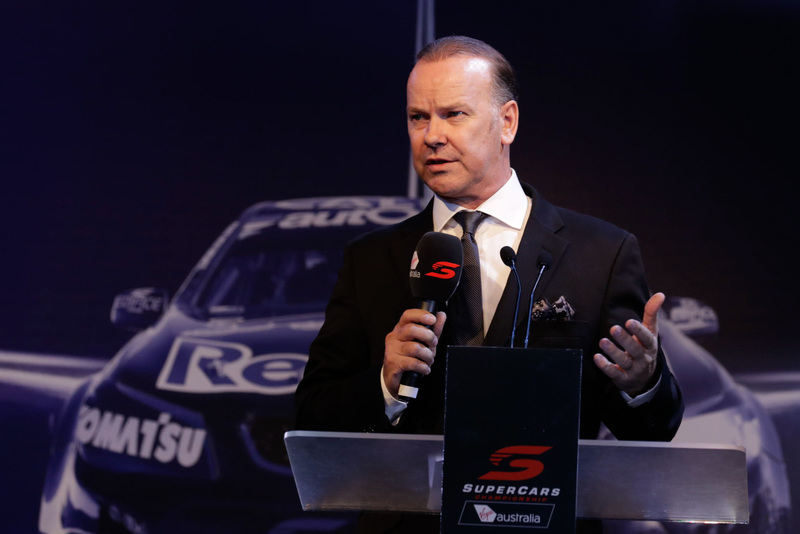 “Larko is an icon of motorsport commentary and a hugely popular figure with drivers, race teams, fans and the viewers,” Supercars General Manager of Media and Content Nathan Prendergast said. “His ability to articulate in-race strategy on the run, highly complex technical aspects and describe what race teams and race drivers are thinking to a broad audience in everyday terms is his great strength. Larkham will be joined by Greg Murphy and Riana Crehan in the pitlane commentary team in primarily an analytical role to interpret the nuances of the racing to the live audience. “Whilst the last few years have been a fantastic journey of learning, creativity, and contributing to the Supercars telecast from a different perspective, I’m now genuinely looking forward to working in the race telecast,” Larkham said. “In particular, interacting with my many long-time friends and peers in the pitlane and in the broadcast production, but most of all with the fans with whom I get great personal joy in attempting to break down our often complex, misunderstood and highly technical sport. The live race broadcast will be anchored by Neil Crompton and Mark Skaife. Jess Yates, Russell Ingall and Skaife will present the FOX Sports broadcast while Matthew White will head up the TEN team. The season commences at the Adelaide 500 on March 1-4 and includes the first Championship events at the Australian Grand Prix and a new event at Tailem Bend in South Australia.